This girl is a swimmer. Yes, this girl. This girl who cried until she was 3 if we put her in anything bigger than a bathtub. This girl who ran screaming from the waves her first time at the beach. This girl whom I butted heads with for years trying to teach her to swim (it paid my way through college but I couldn’t teach my own child). This girl who could not possibly be related to me. Then, at age 4, something finally clicked with her and she no longer hated the water. Instead, she LOVED it…couldn’t get enough. We paid someone else to teach her to swim and after only 2 sessions she couldn’t be stopped. Hours in the waves at the beach, jump after jump in the pool and living in her suit at my Mom’s during the summer. Then we moved to Vegas and I ran into brick walls everywhere trying to find a twirling program. So there we were on a search for an activity she would enjoy again. The first year she did drama. She enjoyed it, but it just wasn’t something she loved, so last summer we did some more looking. She wanted to try softball but I tried suggesting swim team again. She finally agreed with the promise from me that if she didn’t like it after 1 season she could try something else (we let her try anything she wants to try but even if she hates it, we require her to finish the session/season). And guess what….she loves it! 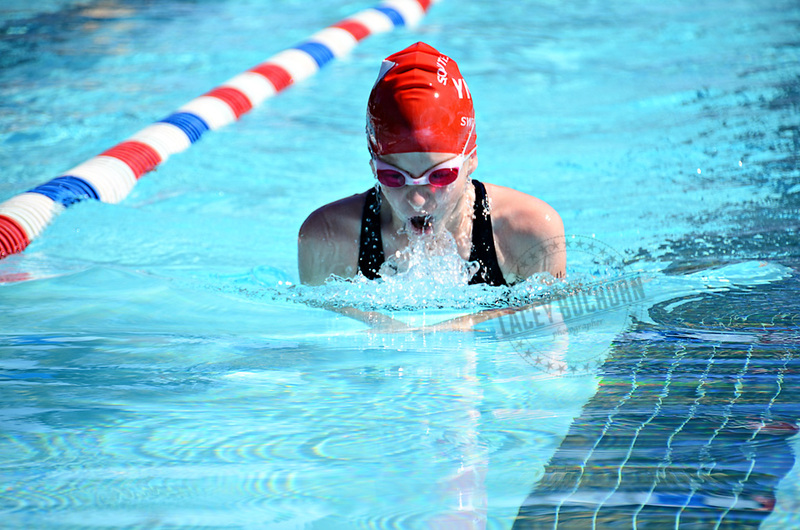 Last August (2011) she started swimming with our local YMCA’s recreational team. She began on bronze and within a few months was moved to silver. Then, back in April she was moved to gold. 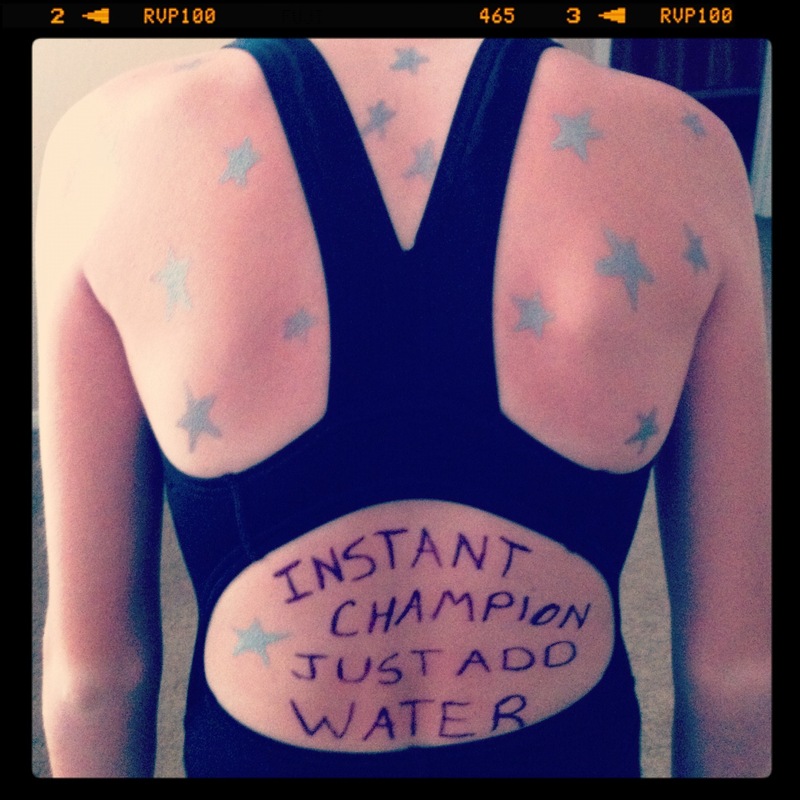 At the last swim meet, she came out with 1st place ribbons in all 3 of her individual events. 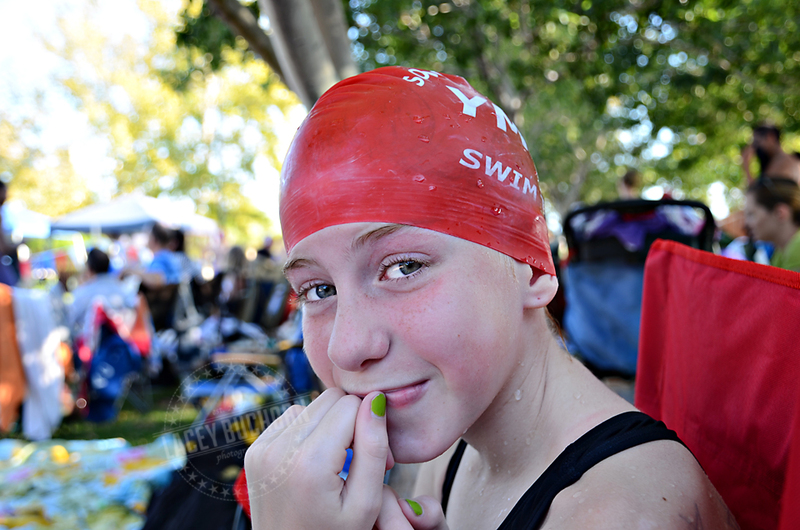 Some would say I am biased because she is my child, but I truly believe she has talent, especially considering she wouldn’t get in the water till 4 and hasn’t even been on swim team for a year yet. She says her goal now is the Olympics and is just in heaven that she gets to watch them this year. She loves comparing herself to Michael Phelps and the fact that he did not join swim team until he was “forced” as well. We shall see where the future takes her, but for now it is swimming. Bryan and I both agree to leave her on the rec team for one more year and then next summer move her to a USA Swimming affiliated competitive team so she can advance in the sport. Watch this space for a future Olympic athlete … Congratulations. Way to go! Glad she found something she LOVES!